Gift Tag: plain white folder piece cut into a circle and colored blue using Crayola crayon in cerulean. It was then coated with Leeho Glitter Glue in light blue. The recipient’s name was from colorful letter cut-outs from a magazine. The gift tag was ribboned on the gift box using pink raffia. Accent: craft-punch flowers in blue, dotted light pink. 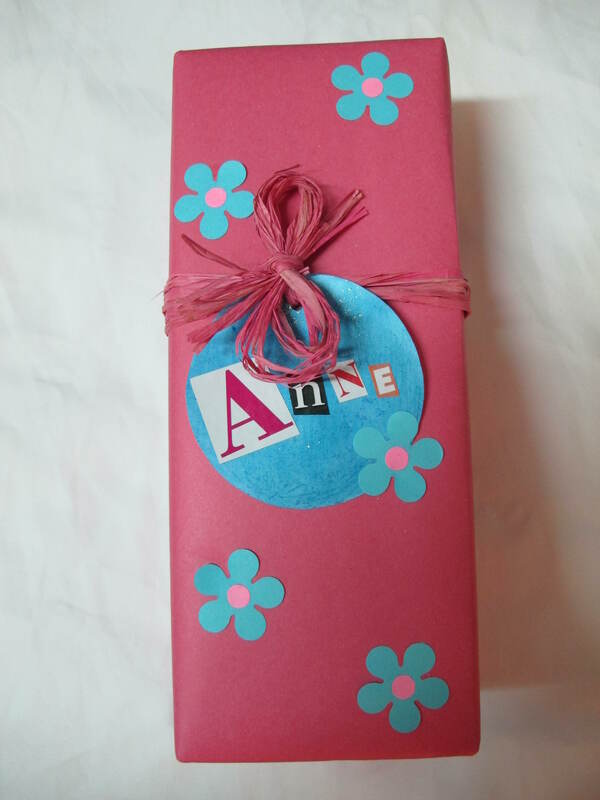 This entry was posted in Crafts and tagged Giftwrapping on December 7, 2012 by milai.